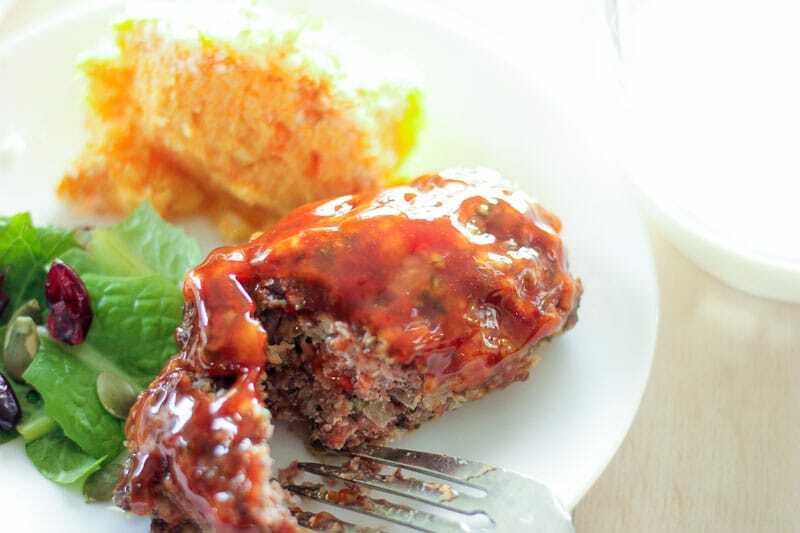 These Healthy Mini Meatloaves are delicious comfort food that’s freezer friendly! Make them as an easy dinner and then freeze the rest for another simple meal! Or just make a whole batch while you’re freezer cooking, for quick dinners anytime! Every January I start the year by doing a ton of freezer cooking. My day job is seasonal, and at the end of January I’m headed back to work. Knowing that my freezer is full of delicious, easy to serve, healthy meals is seriously the best feeling! Every single year, I make these healthy mini meatloaves. They are just so good. I like traditional meatloaf and everything, but I find it can be a little… one dimensional. These mini meatloaves are anything but one dimensional. 2) They make a great lunch – either with leftover salad, leftover vegetables or in a sandwich. 3) If you worry about portion control or red meat consumption you can portion them out to take that into account. 4) You have more surface area to glaze. 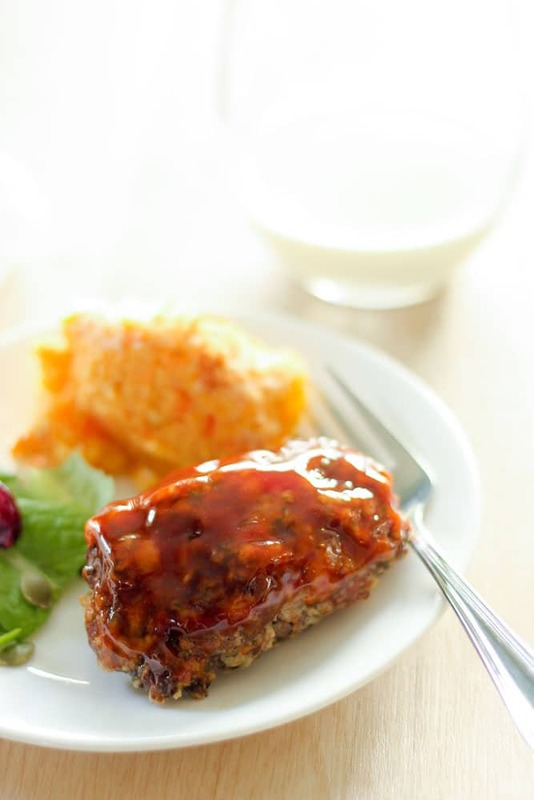 I don’t know about you, but the glaze is one of my favourite things about meatloaf. I’m not going to say that meatloaf is healthy like salad. Obviously, it’s not. 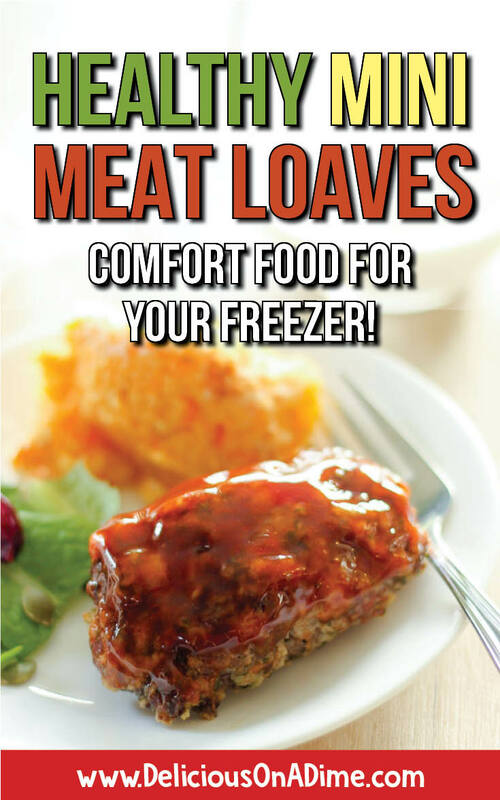 But you can use lean meat for these meatloaves if you want (although regular or a mix will be more juicy and flavourful), cook them on a rack so they’re not sitting in their fat (which is the biggest issue I see with the muffin tin or loaf pan methods) and the portion control allows you to not eat more red meat than is recommended (if that’s a concern for you). Anytime comfort food can also be reasonably healthy, I’m all for it! 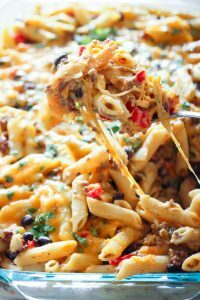 You could definitely try making them with ground turkey, but I’ve never done it so I can’t say for sure how it would be. I think you’d need a little more moisture, so maybe add some extra milk and egg. If you try this variation please let me know how it works out! You can stock up on the ground meat when it’s on sale, stash it in your freezer, then thaw it and use it for this recipe (since you’ll cook them before you freeze again). The rest of the ingredients are pantry staples and fridge staples, like eggs, garlic, onion, milk and condiments. I pretty much ALWAYS have these on hand, and I stock up on most of them, especially the pantry staples, when they’re on sale. This is a super versatile dish. 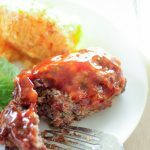 You can serve these healthy mini meatloaves with fluffy creamed potatoes (my fave), a simple salad, our Root Vegetable Casserole (also freezer friendly!) french fries, frozen veggies, or in a sandwich or wrap! Preheat oven to 350 degrees. Peel and dice 2 medium size onions, and then saute them in 2 tablespoons of olive oil over medium heat. Mince 5 cloves of garlic. 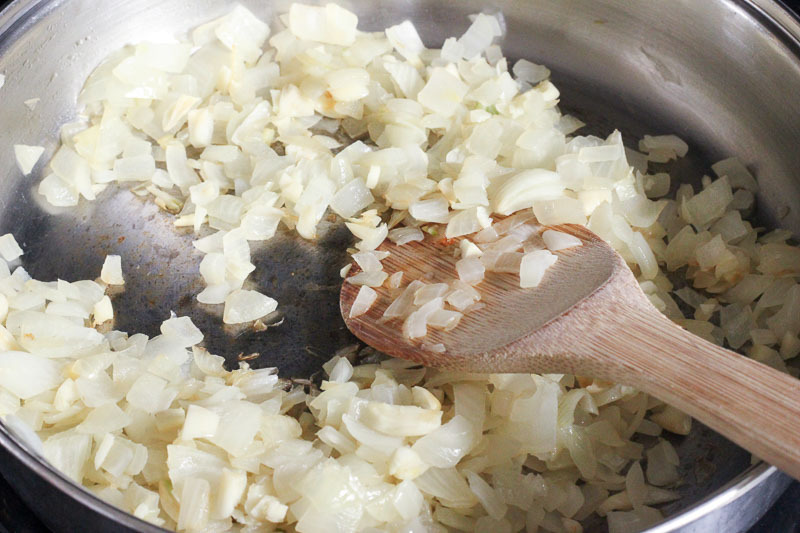 Once onions are softened (about 5 minutes), add the garlic and cook for another minute or so, until fragrant. Remove onions and garlic and add to a large bowl. Add 1.5 cups breadcrumbs or panko, 1/3 cup dried or 2/3 cup fresh parsley (fresh is always better, but if all you have is dried, go for it), 2 eggs, 2 teaspoons of salt, 1 teaspoon of your favourite Tobasco or your favourite hot sauce, 1 tablespoon of Dijon mustard and 1/2 cup of milk. Stir well to combine, then add ground meat and mix until just combined (either 2 pounds of ground beef, or 1 pound of ground beef and 1 pound of ground pork – very flavourful). Line a sheet pan with foil, put a rack on it and spray the rack with cooking spray. Use your hands to form the mixture into patties. For some reason I like to make them into little loaf shapes, so that’s what I do. Place them gently on the rack. 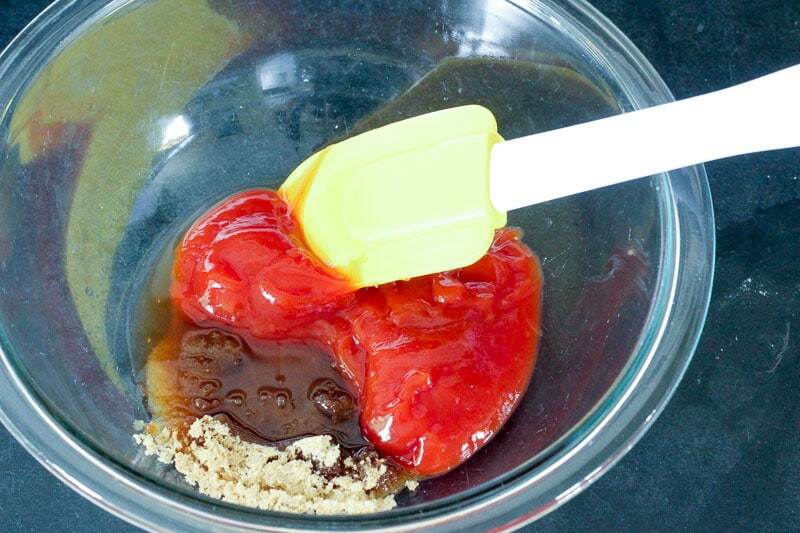 In a small bowl combine 1/2 cup ketchup, 1/4 cup brown sugar and 1.5 tablespoons of apple cider vinegar to make glaze. Stir well. Divide into 3 small bowls (or 2 bowls + the one you mixed it in). 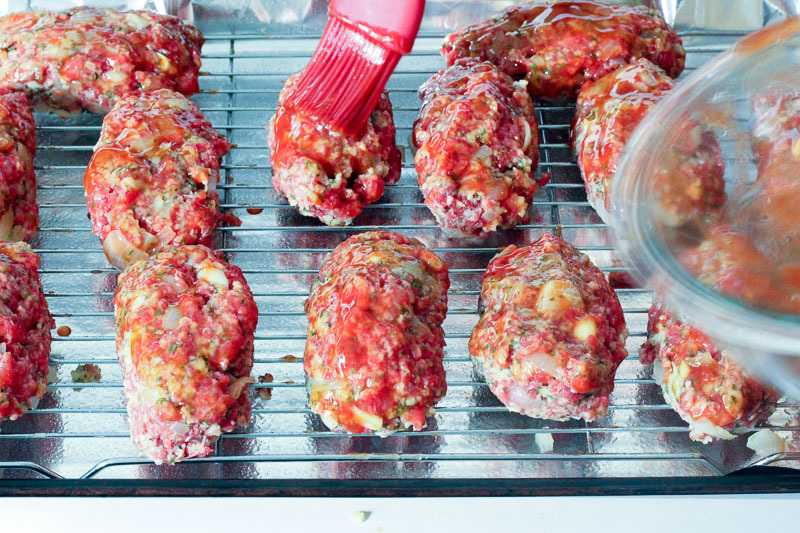 Use a brush or spoon to spread glaze onto the mini meatloaves. I like to cover the sides with it too, for more glazey goodness. Glaze two more times with a clean spoon or brush while meatloaves are baking. Bake for 40 minutes, then test the biggest one with a meat thermometer (one of my favourite kitchen tools). You’re looking for an internal temperature of 160 degrees F.
Serve hot, or cool completely, wrap is plastic wrap or foil and freeze in a large freezer bag. 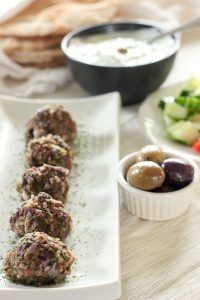 These Healthy Mini Meatloaves are delicious comfort food that's freezer friendly! 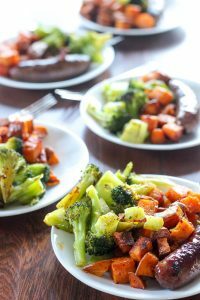 Make them as an easy dinner and then freeze the rest for another simple meal! Or just make a whole batch while you're freezer cooking, for quick dinners anytime! 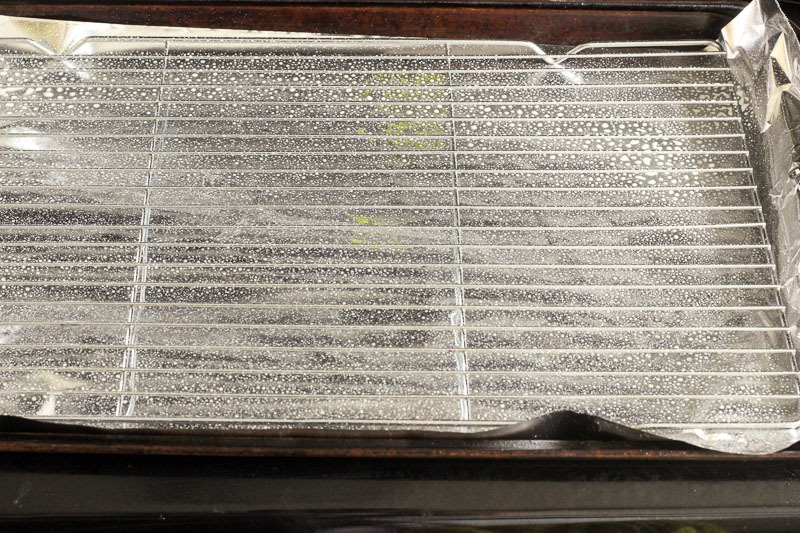 Line a sheet pan with foil, then set an oven-safe cooling rack on it. Spray the cooling rack with non-stick cooking spray. Preheat oven to 350 degrees F. Peel and dice onions, then cook in olive oil over medium heat, until soft (about 5 minutes). Mince garlic and add to onions. Cook for another minute. Scrape onion mixture into a very large bowl. 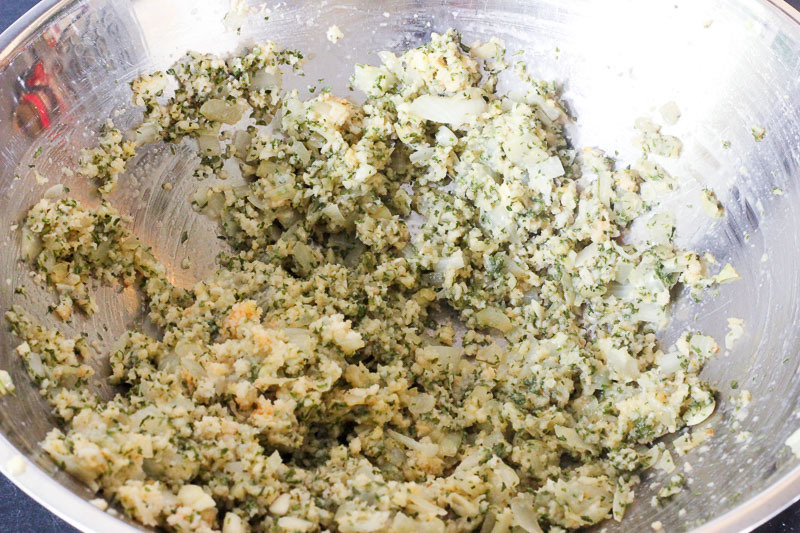 Add breadcrumbs, parsley, milk, eggs, Dijon mustard, salt and hot sauce to bowl with onions. Stir well to combine. 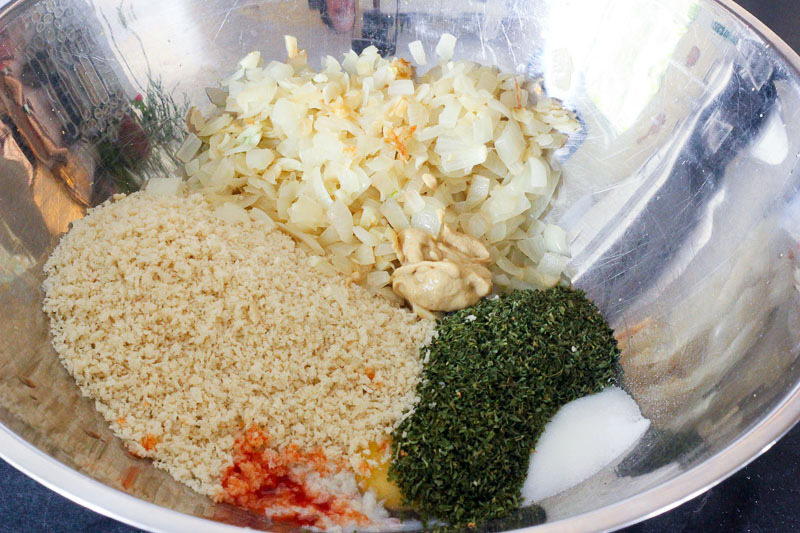 Add ground meat to bowl and use your hands to combine it well (but don't overmix or squeeze it). 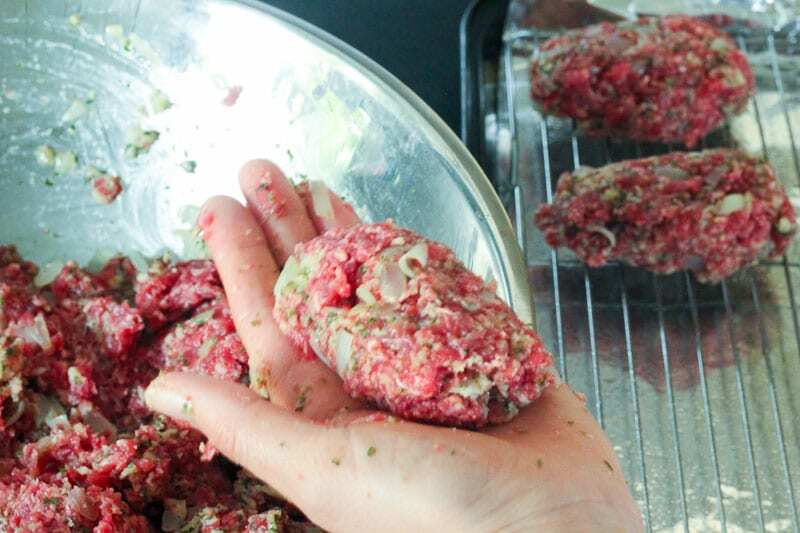 Gently form the meat mixture into whatever shape you like (I like a mini-loaf shape). Place loaves on rack. In a small bowl, combine glaze ingredients. Divide into two other bowls (so you have three total). Use a brush or spoon to spread 1/3 of the glaze over the meatloaves. I like to coat the sides too. Bake for 40 minutes, glazing two more times with a clean spoon or brush throughout the baking time. They are ready when a meat thermometer inserted in the largest one tests at 160 degrees F.
Serve hot, or cool completely, wrap in foil or plastic wrap and put in a freezer bag to freeze.